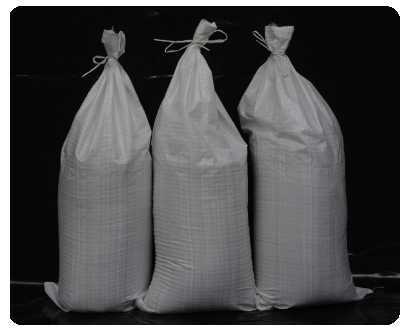 Sandbags are primarily used in flood protection and construction. Our bags are made from woven polypropylene which have been UV treated to extend the working life of the sandbag. We always carry a sizeable stock, available for immediate collection or dispatch. Size: 33x76cm (13"x30") with a tie string.